Fashion, you can find it anywhere: on the streets, TV, Social Media and in school. It can make you feel great; you can express yourself and show the world who you are or just make yourself feel comfortable and relaxed. There is something for everyone and nowadays you can change your fashion any day and anytime. But do we actually know where our clothes are made and what impact this has on the world? 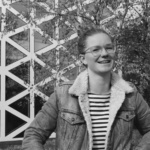 According to Marieke Eyskoot (2017), 10.000 litres of water are needed to produce 1 outfit (jeans and shirt), 85 Million trees are cut down every year to produce fabrics, but 140 Million kilo of the clothing we produce will be burned in the incinerator every year. In addition, the fashion industry is responsible for 10% of the CO2 emissions world-wide. All of this happens because of the consumerism culture of the current economic system. Fashion brands make you believe you need new clothing 12 or even more times a year. We throw away our clothes faster than ever and the quality of our clothes decreases. 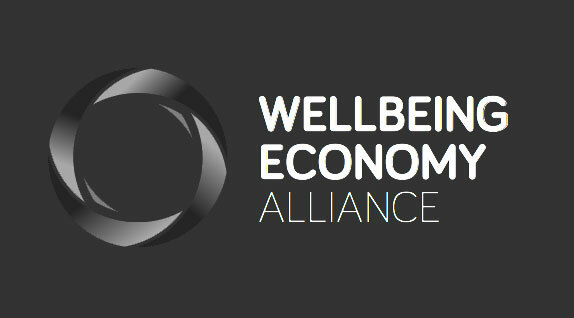 Does this sound like a Wellbeing Economy to you? Since 2000 the fashion industry became 4 times as big. Nowadays 80 Billion pieces of clothes are produced every year (Eyskoot, 2017), the fashion industry is the third biggest industry in the world (Minney, 2017), and it is part of the world’s biggest polluters. Personally, I started thinking about my fashion choices because I really care about animals. My research about how animals are used within the fashion industry escalated into finding out all the horror stories going on in this industry, not only for animals but also for our environment and people working in this industry. But I do not want to depress you with all the negative, there are so many solutions to this problem! Sustainable fashion can be fun and below you can find tips and tricks on how to increase your positive impact on the world through fashion. Do not support fast fashion: Quality above quantity, go for your own style instead of following the forever and fast changing trends. Remake your clothes: Is the zipper of your favourite jeans broken? Repair it instead of buying a new one, as well as this being better for the environment this is also a lot cheaper. Recycle: Do you really want something else? Ask friends, family or co-workers for all the stuff they do not use anymore and organize a clothing swap. This way your ‘trash’ turns into someone else’s treasure. Personally, I am also a big fan of Thrift shopping. Many modern cities have second hand or vintage stores. Ask why before you buy: Do you really need something new? There are (speaking from personal experience) so many items in your closet that can be reused! Check out everything you have before you decided to buy something new, and ask yourself, will this really bring extra value to my life. Support Ethical brands: There are a lot of initiatives rising up who want to show a good example. Below in recommendations a few ethical brands are named. But see which one are close to you! Also you can download the apps ‘rank a brand’ or ‘good on you’ to check if your favourite brand are ethical. Act: Join the Fashion Revolution. The Fashion revolution organisation is campaigning for “a fashion industry that conserves and restores our environment and gives people, especially woman, a voice” (Fashion Revolution , 2019). Fashion revolution starts the 22nd of April! You can see on their website if there are event in your neighbourhood. Sustainable fashion certainly does not have to be more expensive. Buying new shirts every month for 5 euros of bad quality which you can throw away after using it a few times… or buying one good quality shirt for 50 euros which will last years is something to consider! And there are so much more!! Eyskoot, M. (2017). Dit is een goede gids. Amsterdam: Keff & Dessing Publishing. Minney, S. (2017). Slave to fashion. New International Publications Ltd.